seaside village of Rhosneigr in Anglesey. A home from home to eat, gather and sleep. Our house has been built on values of warmth and quality with a focus on providing a new level of welcome and hospitality to Rhosneigr. With a laid back ambience, delicious food, real ales, craft beers and cocktails, we provide a vibrant and stylish gathering place for people to relax and feel they can forget day to day life. 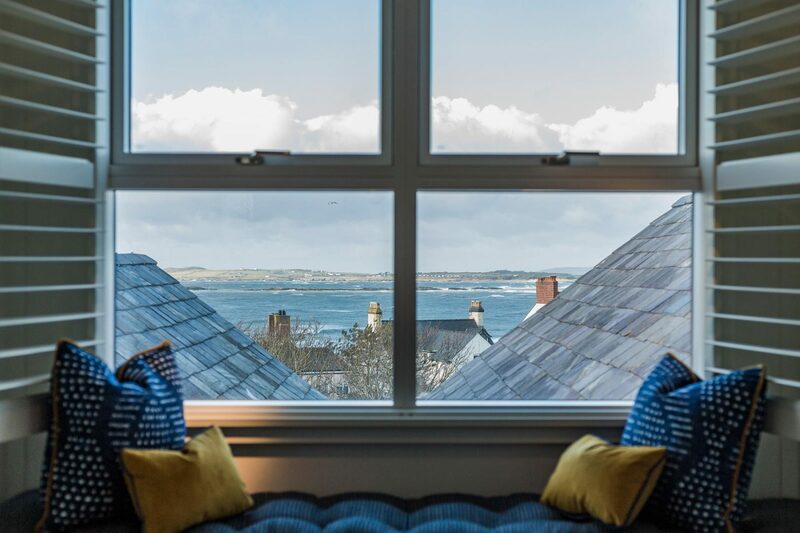 You’ll find our house filled with kitesurfers, dog walkers and their pooches, families looking to escape to the seaside and local residents of Rhosneigr and Anglesey. 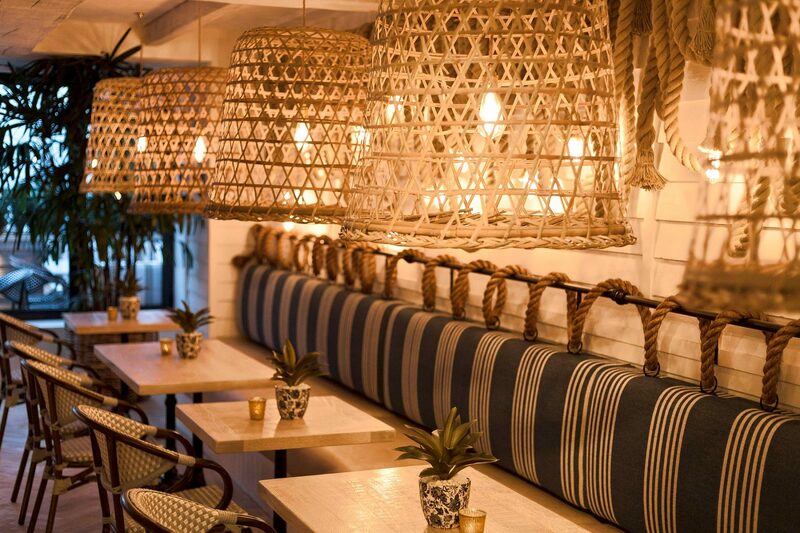 Our interior is inspired by the weather worn feel of a rustic beach house. Think wicker chairs, time-worn leather, raw linen, weathered wooden tables, sand-bleached floors and oversized rope pendants. What really makes this place special though, is our team. Our general manager Chloe and head chef Hefin lead by example in providing a friendly and warm welcome you’ll not forget. 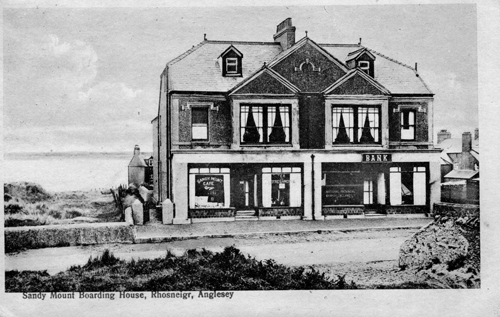 Since it was first built at the turn of the 20th Century, the Sandy Mount House building has been an important part of Rhosneigr village life for locals and visitors alike. It even has its own chapter in Tim Hale’s book Rhosneigr – People & Places. 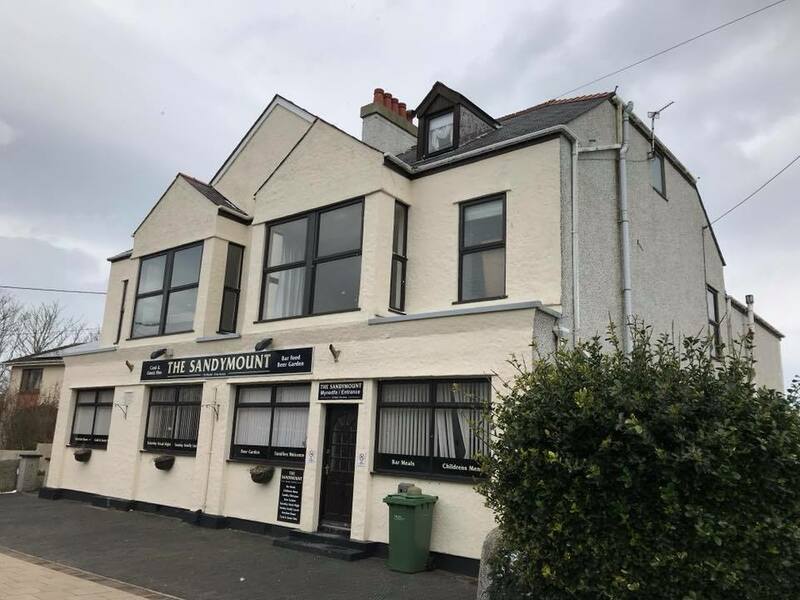 Sandy Mount House is located on the site of what was formerly the Sandymount, a firm fixture of Rhosneigr’s high street which had operated as a café and guest house, a private members club and more latterly a free house since it was built in around 1902. Ken Rees, who ran the Sandymount from 1972 to 1982 following his retirement from the RAF, was the last surviving member of the team that tried to tunnel their way out of Stalag Luft III during the Second World War – an event famously depicted in the 1963 Steve McQueen film ‘The Great Escape’. Following Ken’s tenure, his son Martyn ran the business for a while in partnership with Charlie Parsons and his wife Heather. 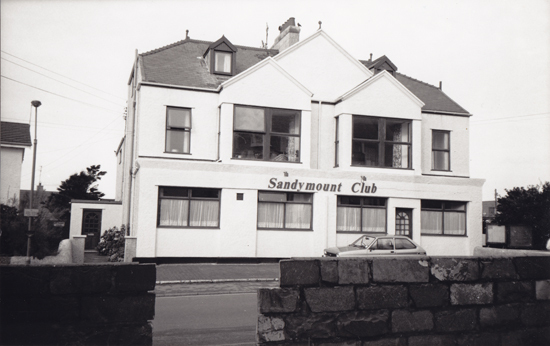 The Sandymount was changed to a free house from a private members’ club after Larry and Jane Hughes acquired it in 2002. Rumour has it that Prince William and several of his friends were once refused entry on a night out when he was stationed on Anglesey! The building has undergone significant remodelling and refurbishment since planning permission was granted to the current owners in early 2018. 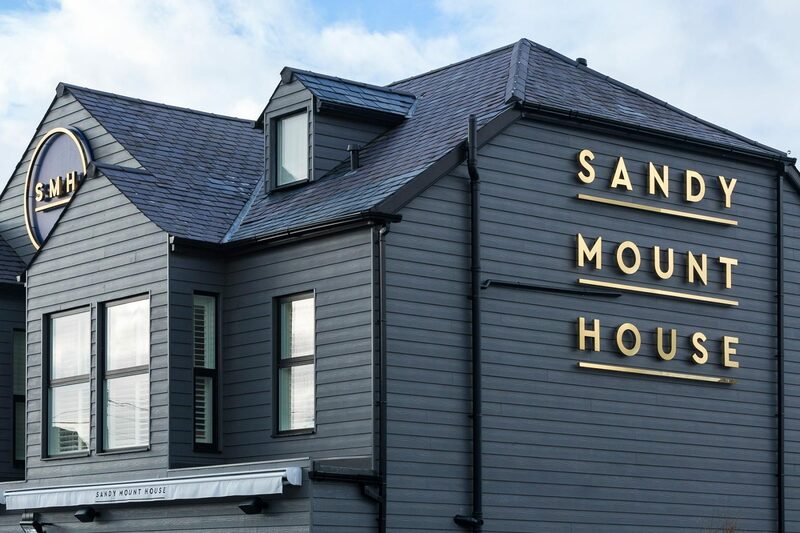 Created by renowned designer Michelle Derbyshire working alongside owner Louise Goodwin, the Sandy Mount House interior has been carefully crafted to reflect the relaxed yet high quality vibe which underpins our service and ethos. We look forward to welcoming you to our house and becoming friends. 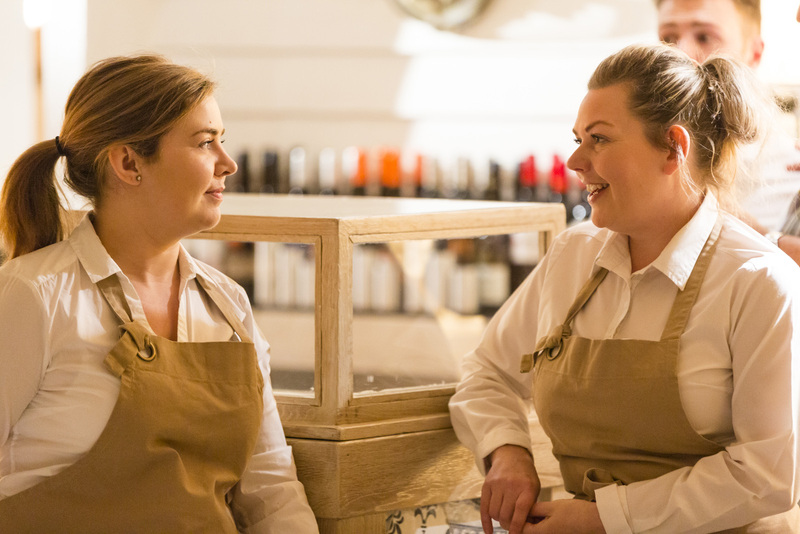 We’re looking for fantastic hospitality people who want to be part of a standout experience for our guests. In return, we’ll be offering competitive salaries, training and plenty of opportunities for progression in an exciting, forward-thinking business. If you think you may like to be considered for any of these positions, please send a CV and covering email to recruitment@sandymounthouse.co.uk and we’ll be in touch. Thank you for your interest in Sandy Mount House. Sandy Mount House gift vouchers can be made up to whatever value you like, or speak to us about tailoring a package for someone special. Just drop us a line using the form below and we’ll be in touch.